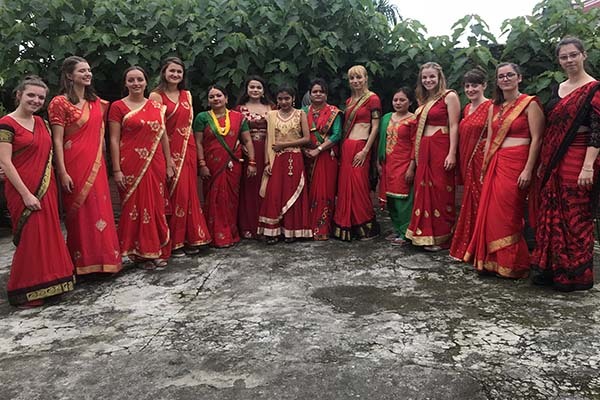 Teej is one of the most sacred Hindu festivals, which is primality observed by the womenfolk of Nepal to seek blessings for their husband’s long life. 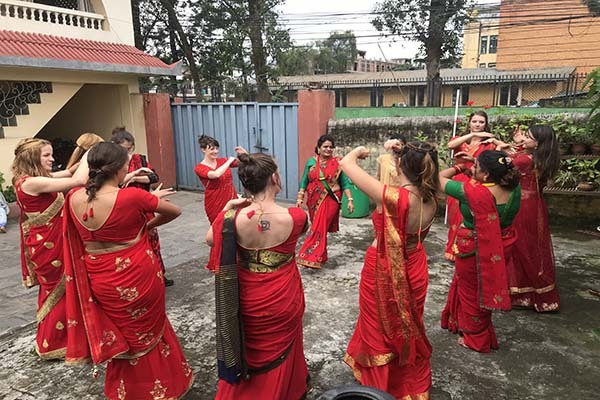 Teej at Internship Nepal was celebrated with much fervour. The interns were adorned on beautiful red saree with full on Teej vibes, putting their best foot forward to showcase their dance skills. 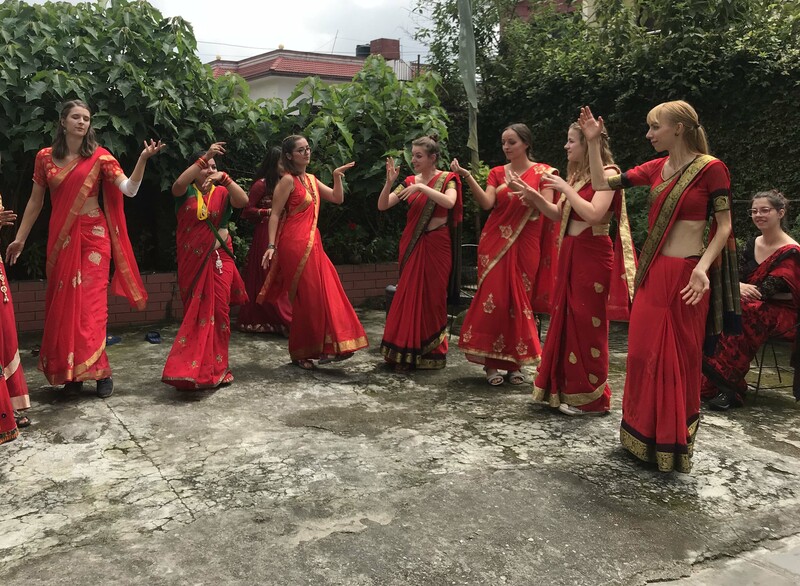 Our interns were engaged in the dance session at their homestay. Celebrations of the festivals have always been special at IN, for it strengthens the cultural bond, besides knowing the rich historic traditions and rituals of Nepal. The interns visited two temples named as Tudal Devi and Mahadevsthan which is located at 15 minutes walking distance from home. The pleasant weather added to the fun as many women gathered and appreciated the presence of our interns. They even helped our interns to dance to the rhythm of melodious traditional Teej songs. Many visitors were also seen enjoying the festival with our interns. It is mesmerizing to see how culture brings the people from different countries together. It has provided the much-needed cultural break from the student life routine.